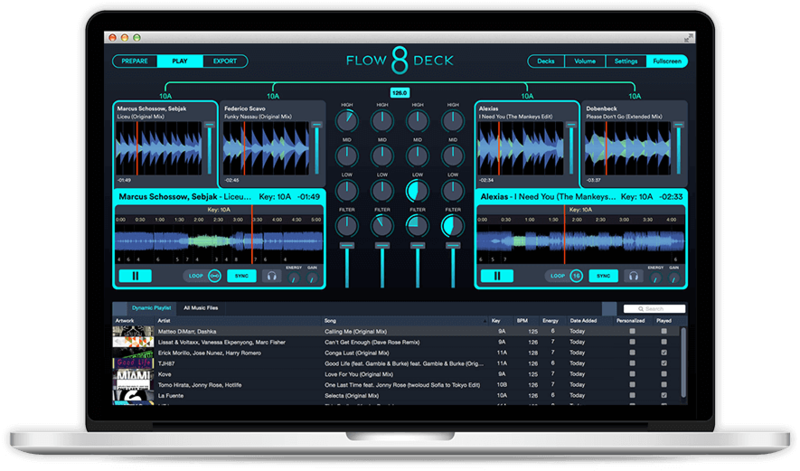 Flow 8 Deck Unlock your DJ mixing creativity. Jump on the decks. Mix 100 tracks per hour. Elevate your mixing above Serato, Traktor and Pioneer CDJs. For just $58. Buy for MacOS Buy for Windows Comes with a 30-day money back guarantee. Requires a Mac with 10.10+ or newer (Windows version coming in 2018). Play a masterful DJ set. Flow analyzes your music, and splits every track into 8 perfect loops. When you’re playing, you will skip ahead to a great loop and play it right away. 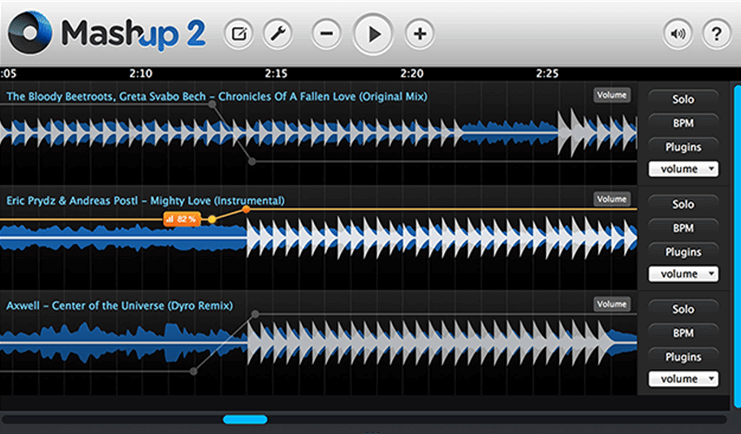 You can remix live by playing the exact part of the song that you love. Skip the boring parts. Play the most exciting drop. Sample the bits that sound really good to you. Even if you’re playing the same music as DJs, you will perform a more unique and exciting DJ set every time. 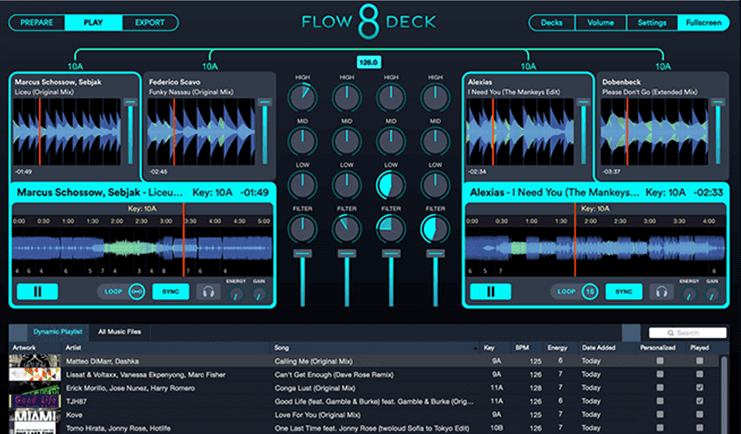 Top DJs can use Flow to play 100 tracks per hour, flowing between different genres and vibes. It’s the most exciting way to play your favorite music. Use the best Harmonic Mixing technology. Flow was launched by the award-winning team that created Mixed In Key. 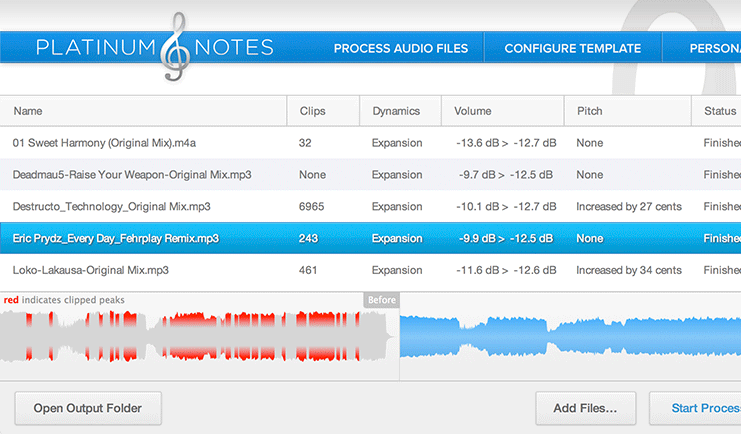 Our software will analyze your music collection and find the most accurate Mixed In Key result for every track. Our #1 goal is to help you sound perfect in the DJ booth. 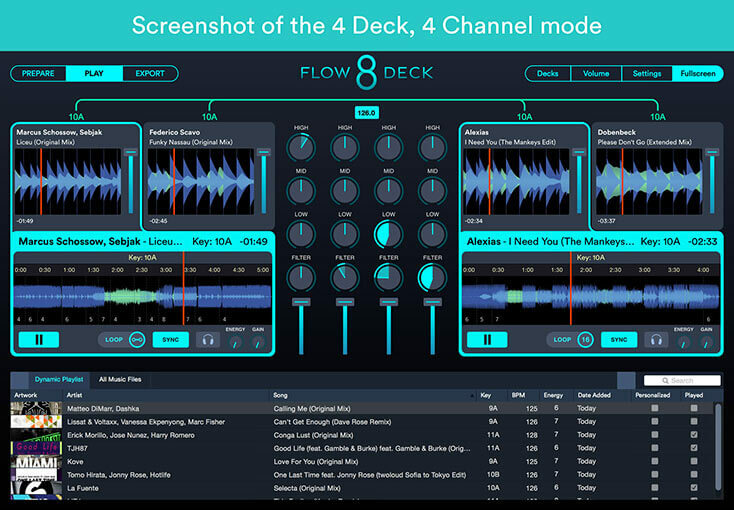 See what Pioneer, Traktor and Numark controllers you can use with Flow. Create great playlists & play them well. Flow helps you create playlists for different vibes and moods. You can quickly segment your huge music collection into “Chillout”, “Opening DJ Set”, “Mid-Set”, “Bangers” and other playlists based on the energy level of each track. 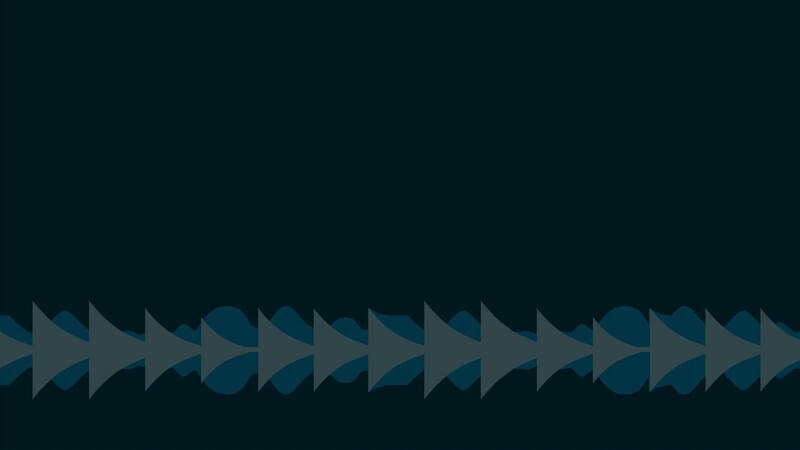 Flow ranks every track on a scale of 1 to 10 to show you how energetic the track will sound in the club. You can play low energy songs during the beginning of the night, and bangers during the peak-time. It makes it easier to find great music inside your own music collection. Plug in your favorite DJ controllers. You can MIDI map Flow with any DJ controller in the world. 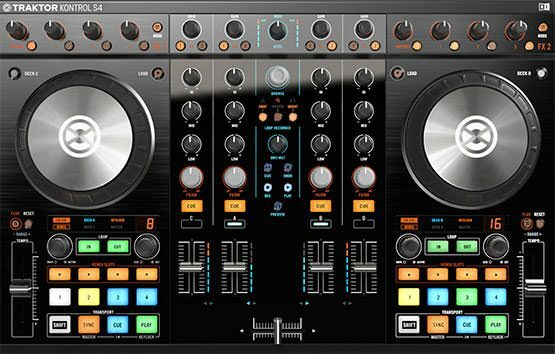 It also comes with built-in mappings for the world’s most popular MIDI controllers built by Pioneer, Traktor, Numark and others. The minimum system specs for Flow are very simple: All you need is a laptop (no sound card, or controller needed). But, if you have an amazing $2000 controller, you can just plug and play! 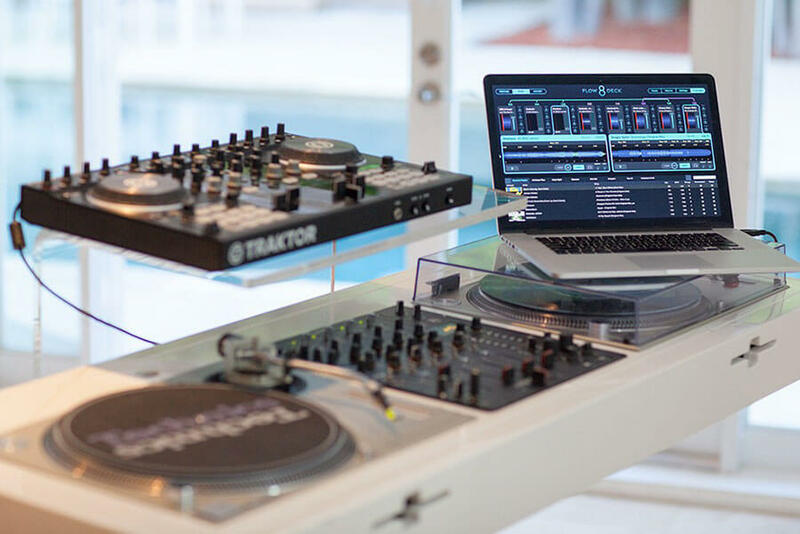 We configured Flow to be plug-and-play compatible with Pioneer’s DJ controllers. You can use Flow to play Stems on all your current Native Instruments controllers. You can use Flow to play Stems on all your current Numark controllers. Just plug and play. Stand out with your DJ mixing. 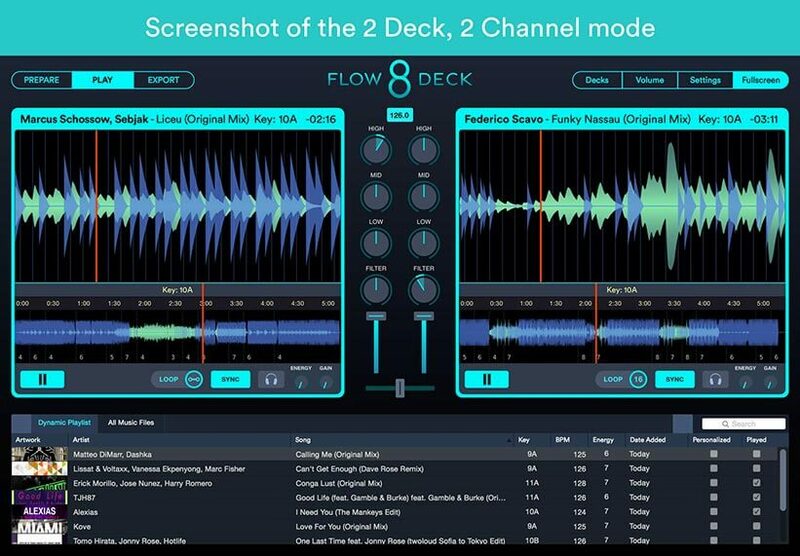 Regardless of what genre you love to play, Flow makes your DJ mixing sound more interesting. 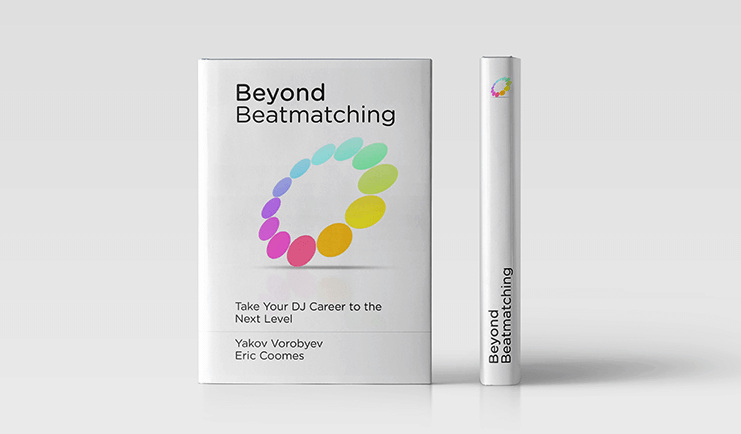 Open Format, House, Techno, Hip Hop – whatever your genre Flow helps you play 8 loops per track. It helps you solve the problem faced by every DJ today: “How to sound different from everyone else?” Here’s an easy step-by-step guide to mixing with Flow. Drop in your whole music collection. 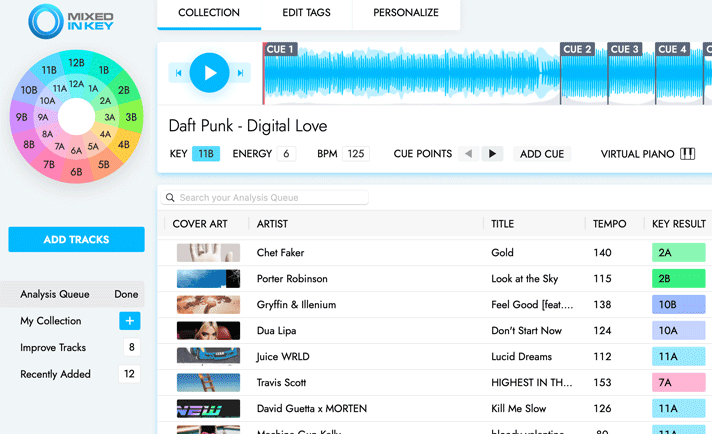 Flow will analyze your MP3s and other audio files. It’ll give you exclusive Mixed In Key results for every track, so you can use the world’s leading harmonic mixing algorithm. Here, you can create your own playlists and get your music organized to play live. 2. Start with basic mixing to learn Flow. Use the volume controls, EQs, Filters and other effects to mix your music. This is going to feel familiar to everyone who’s used any DJ software before. It’s like Serato, Traktor and Pioneer mixers. It’s easy to learn and feels familiar. 3. Play 8 loops inside every track. You can click anywhere in the Audio Wave, and Flow will smoothly cross-fade into that section of the track. We call this “dimensional mixing”, and this feature is exclusive to Flow. You can show off your remix skills and play your FAVORITE parts of every track, instead of playing the entire song from start to finish. This is where Flow’s mixing will feel magical. 4. Use your favorite controller to load tracks even faster. Plug in your favorite DJ controller with a USB cable, and start browsing your collection with the MIDI “File Browse” knob. Push to load a track, and skip ahead to the loop you want to play. You can play 50-100 tracks per hour, sampling your favorite classics, acapellas, and loops that you love. You can also play STEMS, the new file format from Native Instruments. They are fully supported inside Flow. 5. Advance to Master level. Use the 4 deck or 8 deck modes to play Stems. Play music like you’re competing in a DMC or Red Bull championship. Learn every DJ technique used by top DJs. We’ll teach you all of that. 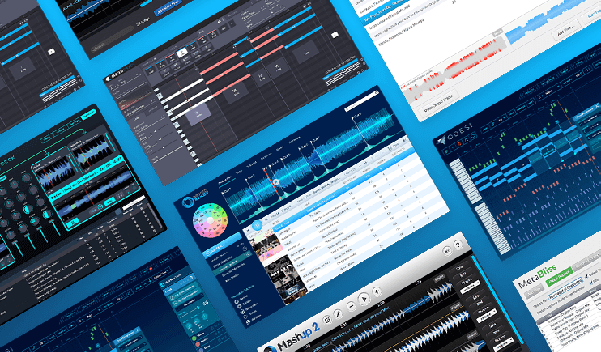 Check out our collection of software for DJs and producers. Includes Mixed in Key, Odesi, Captain Plugins, Flow 8 Deck, Platinum Notes, Mashup, Beyond Beatmatching, and MetaBliss. Brand-new VST plugins for music composition. 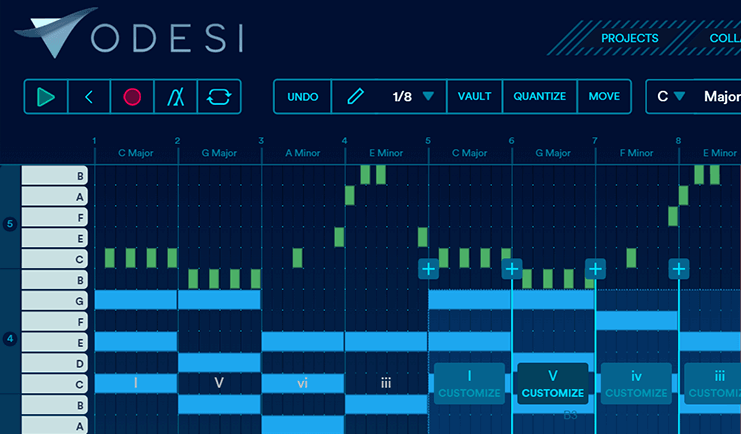 Designed for Ableton Live and Logic on Mac. Write your own Chord Progressions, Hooks, Melodies and Basslines and export to your DAW. Create perfect ID3 tags for your music. MetaBliss is a new ID3 tag editor for Mac OS X. It will help you clean up your meta-data. 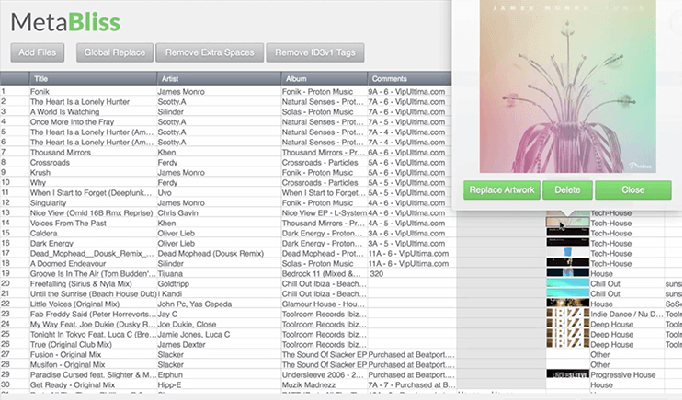 With MetaBliss, you can quickly edit Artist, Song Name, Comments and all other tags. Upgrade to the Master Collection. Includes new software to help you produce music and DJ perfectly.